From the wood paneling and vinyl chairs to the buzzing neon signs and ragged Bud Light posters, Nick’s is, through and through, an old-school neighborhood sports bar. Don’t let the no-frills façade fool you: there’s a reason Nick’s has served West Houston sports fans for over 20 years. Billing itself as an Italian sports bar, it’s open for breakfast, lunch, and dinner, cranking out pizzas, calzones, and even breakfast sandwiches. 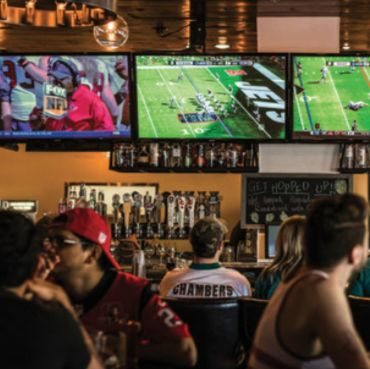 With its busy decor, memorabilia-lined ceilings, and what seems like hundreds of TVs, this is the perfect spot for the ADD-afflicted sports fan.